Minneapolis City Council. Photo by Zachary Bielinski. Next year, Minneapolis will join nearly 60 jurisdictions nationwide that specifically prohibit all forms of housing discrimination, including landlords refusing to rent to persons with Section 8 Housing Choice Vouchers (HCV). 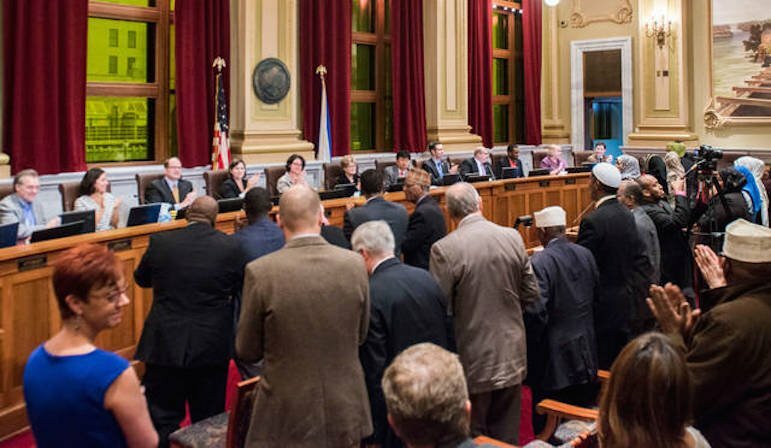 The Minneapolis City Council last week unanimously approved a new ordinance that will take effect on May 1, 2018. Under the ordinance, City landlords cannot advertise that they will not take Section 8 persons, impose “unique standards” on them, or treat HCV holders differently from tenants without vouchers. Read more about the new ordinance at Minnesota Spokesman-Recorder. Chronic absence — missing more than 10 percent of the days in a school year for any reason — is a big problem in Minnesota schools, affecting at least one in six Minnesota students, according to data from the Minnesota Department of Education. However, it affects one group of students more than any other. Statewide, 38 percent of Native American students missed 10 percent or more days of school last year — the highest rate of any racial or ethnic group. Missing that much school, research has found, is enough to hurt kids’ academic proficiency and their chances of graduating high school. Read more about this complicated issue at MinnPost. Abdullahi Sheikh, a Pillsbury United Communities health programs manager, started a program to help seniors learn about health in the U.S. While immigrating to the U.S. can be stressful, living in a small apartment with food readily available and not needing to walk long distances to work can also cause health problems for new arrivals. Abdullahi Sheikh explains what high cholesterol is during a healthcare program that educates immigrant and refugee seniors in the Brian Coyle Center on Friday, Mar. 31, 2017. 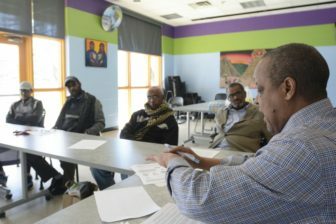 To help immigrants manage their health, Sheikh started a six-week course for people over the age 60 in the Cedar-Riverside neighborhood who want to know more about their chronic health problems and how to deal with them. Kathleen Thiede Call, a University of Minnesota health policy and management professor, said there is truth to how moving to a different country can cause health issues. “If a person comes from a country where there is a lot of farming or where people walk far to get to work, and [they] move to an urban environment where those things are taken away, the lifestyle change will cause some changes in health,” she said. Read more about this six-week program at the Minnesota Daily. What is today's senior employment scene?